NEW YORK, NEW YORK, US, April 10, 2019 /EINPresswire.com/ -- Raising a child with a disability, while trying to balance work and family responsibilities is no easy task for even the most dedicated parents. Managing all aspects of a special needs child daily living – including personal needs, school activities, therapy sessions and medical appointments – can be extremely demanding and time-consuming. “Autism Awareness Month is a perfect time for family, friends and the public to show their support for special needs parents,” said Deanna Picon, founder of Your Autism Coach, LLC and author of The Autism Parents' Guide to Reclaiming Your Life. "These parents are hidden heroes who courageously face autism and all the enormous challenges and responsibilities that accompany it on an everyday basis. They may be your best friend, your cousin, your neighbor or co-worker," says Picon. "Special needs parents deserve respect and recognition for many reasons, including the sheer guts it takes to stay dedicated to this challenge." 1. Give a well-deserved break. Parenting is a 24/7, 365 day job for these parents, so any time they can get a few hours for themselves is great. Volunteer to watch their son or daughter at home or take him/her to a park or movie for a few hours. This will allow parents to have a good time and participate in hobbies, events and activities they enjoy. 2. Help with everyday tasks. Pick up some food and beverages at the supermarket when you shop or drop off some clothes at the dry cleaners. It'll save parents much needed time and energy. 3. Bring a dish. A pizza pie, box of chicken or even a take-out meal from a local Chinese restaurant can make everyone feel good and valued. Little cupcakes are fun treats for desserts. Gift cards for a local restaurant can be a wonderful surprise. 4. Assist with household chores. Vacuum a room, wash some dishes or cut up some tomatoes and lettuce for a salad. Remember, no gesture is too small and parents will always be grateful. 5. Keep in touch and be supportive. Special needs parents often feel alone and isolated, so it's really beneficial to let them know you're there, if they need you. With Mother’s and Father’s Day approaching soon, this is a perfect time to send a greeting card letting them know they’re great parents. Text, email or call to just say "Hello". 6. Listen without judgement. Bring over some snacks, sit down and just listen. Allow them to laugh, cry, vent and blow off some steam. No one expects you to solve their problems or provide solutions. A friendly face or shoulder to lean on works perfectly. 7. Treat them. Little gestures can bring a big smile to the special needs parent in your office. Buy a cup of coffee or tea with a donut or bagel and place it on their desk in the morning. Take a co-worker out for a nice lunch. 8. Increase public awareness. Autism Awareness Month is a perfect time to learn more about this disorder. Watch a TV news report, read an article or go online to gain a better understanding of this condition. Start a conversation with a friend or family member. 9. Participate. You don’t have to be personally affected by autism to become involved in charitable activities such as a community fundraiser or walk. If possible, take part in a local autism event in your area. Meet some of the wonderful special needs families in your community. 10. Express your support. Donations to local and national autism organizations are always welcome and appreciated. Purchase goods and services from companies that contribute to autism-related causes. 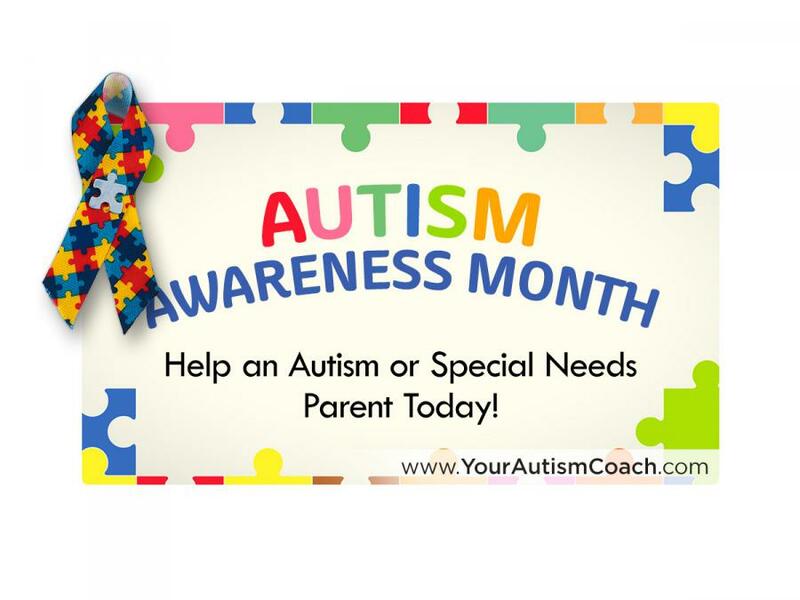 Your Autism Coach, LLC provides personalized guidance, comprehensive support programs and seminars that address the concerns of special needs parents. Now on Twitter (@yourautismcoach), look for the latest parenting tips and advice from Deanna Picon. She shows parents how to overcome the challenges of raising a child with special needs, while building a rewarding life for themselves. Deanna is the recipient of both the "2018 Top Parental Advice Writer" Award and "2015 Top Life Coach Writer" Award by Autism Parenting Magazine. Your Autism Coach, LLC provides personalized guidance, comprehensive support programs and seminars that address the issues and concerns of parents of special needs children and adults. Now on Twitter(@yourautismcoach), look for the latest parenting tips and advice from Deanna Picon. She shows parents how to overcome the challenges of raising a child with special needs, while building a rewarding life for themselves. 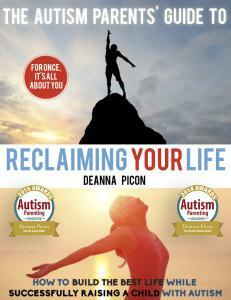 Deanna is the author of the critically-acclaimed "The Autism Parents' Guide To Reclaiming Your Life". She is also the recipient of both the "2018 Top Parental Advice Writer" Award and the "2015 Top Life Coach Writer" Award from Autism Parenting Magazine.